Inhabitation was possibly found to the west of the cemetery in Lepola area already at the end of the 18th century. The area had old brickworks, some of which still worked at the end of the 19th century. Lepola cemetery, where for example Juho and Maria Lallukka were buried, dated back to the 1830s. The eastern side of the area was not built until 1920s when new plots were established through a street plan. 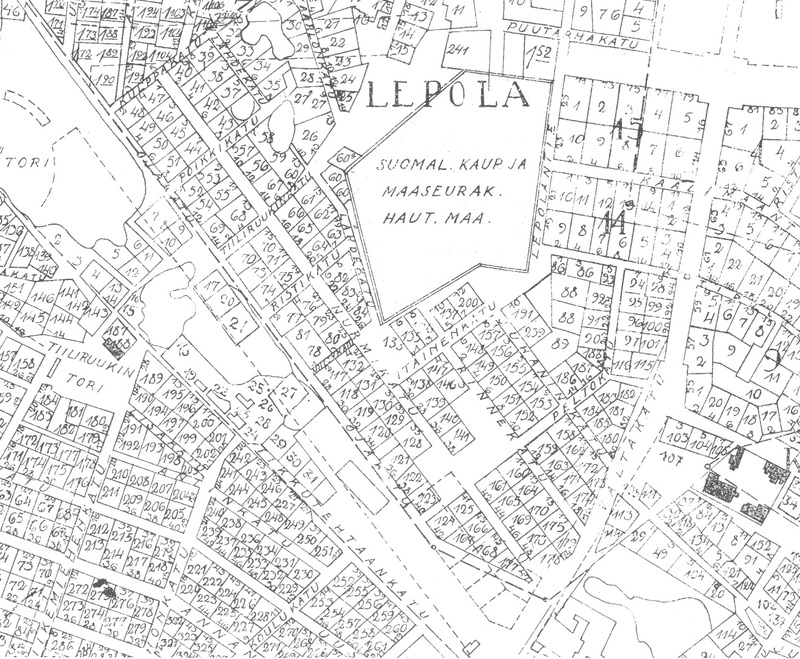 Before the 1920s the area was called Kelkkala but in connection with town planning the name was changed to Lepola. Lepola was incorporated into the town in 1928.